The world has had a tough couple of years with wars, hurricanes, oil spills, and floods. As you sit down to your morning paper, chances are high that you will come across a story about a devastating disaster. Maybe a tropical storm wiped out dams that protect crops, homes and livestock in a third-world county, and now the people living there are facing starvation. Donations are requested, but how likely are you to donate? What if the dams had failed not because the storm was particularly strong, but because corrupt officials had purposefully built substandard dams? Are you just as likely to donate money now? According to psychological scientists, the answer is “no.” In a recent article, Hanna Zagefka (Royal Holloway University of London, UK) and coauthors report a series of experiments investigating the reasons why people donate more or less money to disaster-relief efforts. In their study, participants read a story about a disaster. In one version, the disaster had natural origins (such as a tsunami, or a tropical storm), and in the other version, the disaster was man-made (such as corrupt officials building substandard dams). After reading the story, participants were asked whether they thought the disaster was natural or man-made, how much blame they placed on the victims for their situation, and how much they thought the victims were doing to help improve their condition. 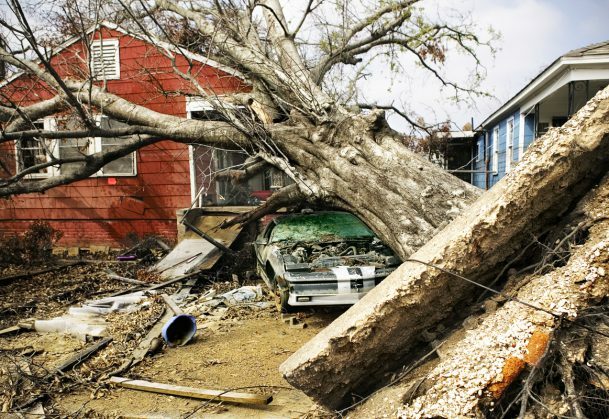 The researchers found that people were more likely to donate money to help with natural disasters. Participants donated more money to natural disasters because they thought that these victims should be blamed less for their situation and that they made more of an effort to help themselves than victims of man-made disasters. These findings suggest that aid organizations should counter people’s donation biases by stressing the blamelessness of the victims and highlighting efforts the victims are making to improve their situation — especially if the disaster was man-made. This is interesting. It appears that people will only donate to causes that they feel a connection to. Not everybody has lived through a true war, but everybody has experienced lousy weather, and it is highly probable that people will experience it again. This empathy drives donations.